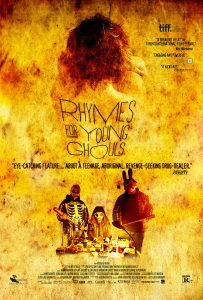 Spring 2017: Featured Films! | First Nations Film and Video Festival, Inc.
At 15, Aila is the weed princess of Red Crow. Hustling with her uncle Burner, she sells enough dope to pay Popper her “truancy tax”, keeping her out of St.Ds. But when Aila’s drug money is stolen and her father Joseph returns from prison, the precarious balance of Aila’s world is destroyed. 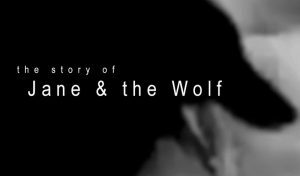 (FEATURED SHORT FILM)”Jane & the Wolf is a hybrid documentary that incorporates cinéma vérité, archival photographs and animation. In the 1960s, Pagwa River was a booming railroad town populated by 2nd generation Crees. During one cold winter, the community was being stalked by a lone wolf. Every attempt to kill the wolf failed. Jane recognized the wolf as a spirit sign from the ancestors. Ridiculed for her beliefs, Jane set out alone to killing the wolf using the old ways. Stay tuned for Festival Venue Program information coming soon! This entry was posted in Festival News, FNFVF Director, Schedule Info and tagged Beverly Arts Center, Claudia Cassidy Theater, DePaul University Loop Campus, Featured, First Nations Film and Video Festival, First Nations Film and Video Festival Inc., FNFVF, FNFVF Filmmakers, Jane & the Wolf, Mitchell Museum, Native American Cinema, Native American Film, Native American Women Directors, Rhymes for Young Ghouls, UWP by FNFVF-Director. Bookmark the permalink.